This box was provided complimentary for review. How much? $37 per month with free shipping in Canada. Tax extra. Prices in Canadian dollars. 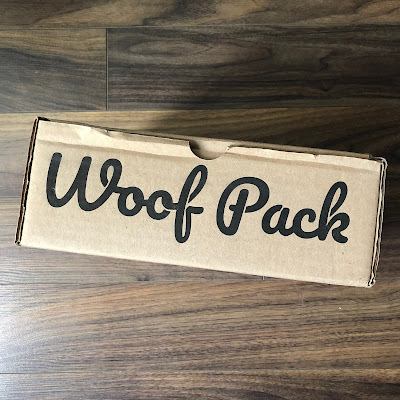 Woof Pack is a Canadian subscription box for dogs. 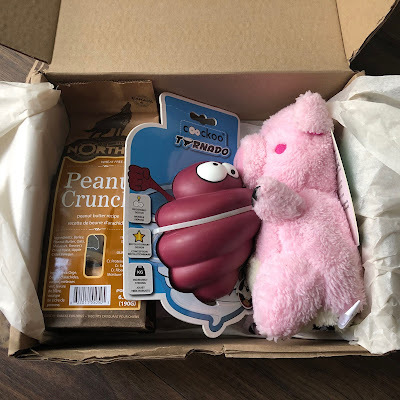 Every pack includes 2 interactive toys, 2 bags of all-natural treats, and an accessory or chew, all curated around a unique theme. Each box is valued at $45 or more! 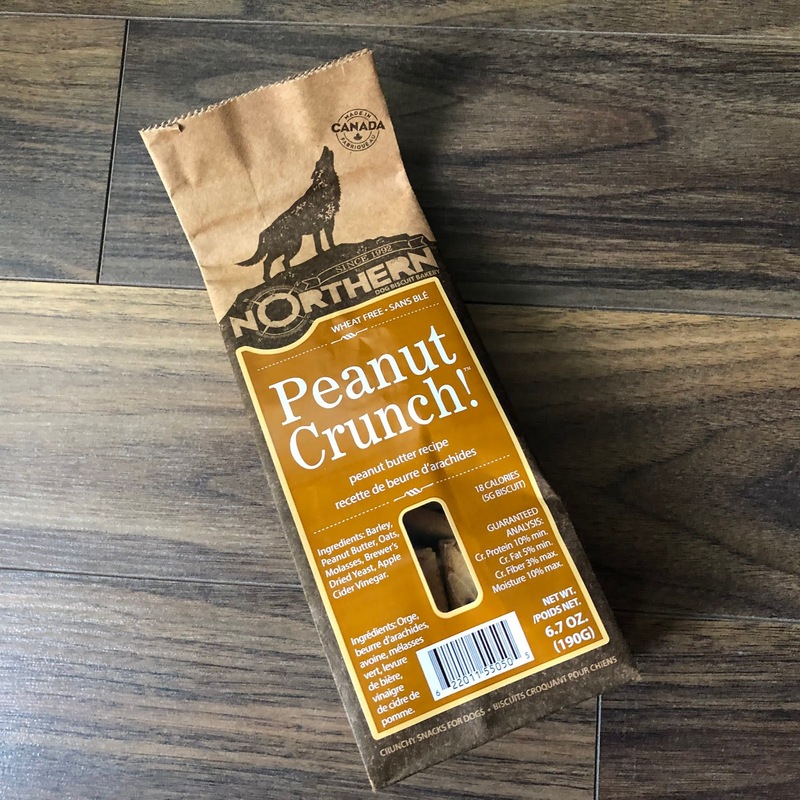 Woof Pack only includes natural Canadian treats from trusted, reliable vendors, made to Canadian standards. Woof Pack tailors every pack to your dog’s size and eating habits. They pride themselves on being flexible and accommodating. If you have any questions or concerns, just e-mail the Woof Pack team! All plans auto-renew unless cancelled. 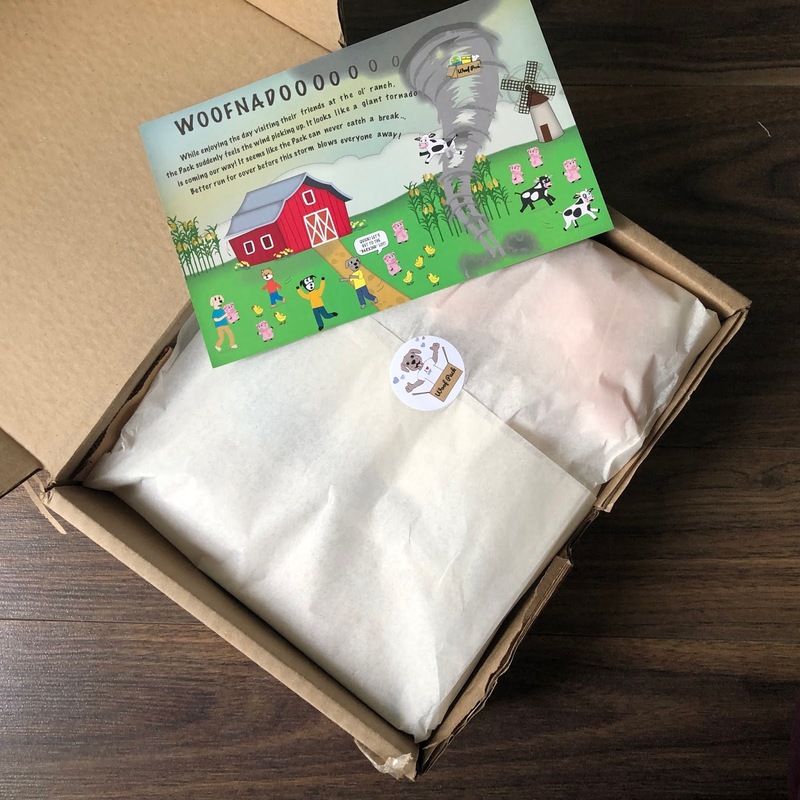 After ordering, your first pack ships immediately. Subsequent packs ship on the 15th of each month. Shipping across Canada is free! The theme for March was WOOFNADO! The Coockoo Tornado is a premium Dog Toy made from the best quality rubber The toy allows you to place dog biscuits or other goodies within the tornado and is ergonomically designed to provide hours of fun to your dog. Snuggle up to these impossibly soft yet durable toys! These cheeky friends are lined with an extra layer of fabric. 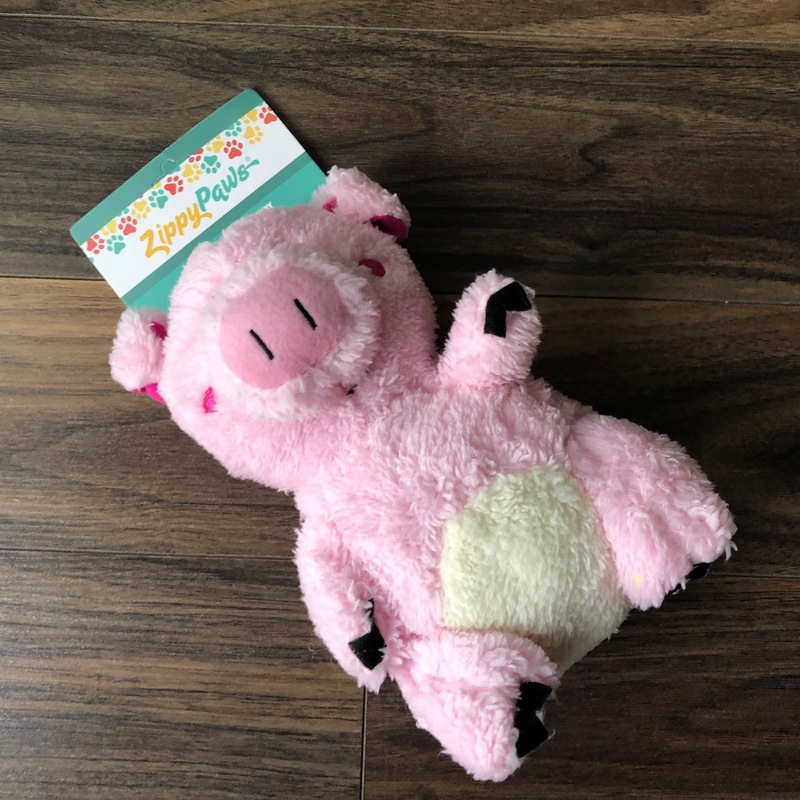 Each toy has a unique squeaker sound - the Pig "oinks"! Foufou Boucherie Pulled Pork Bites have that tender, smoky pulled pork flavor in every semi-moist treat. These 100% natural treats contain no preservatives, additives, or artificial flavours. 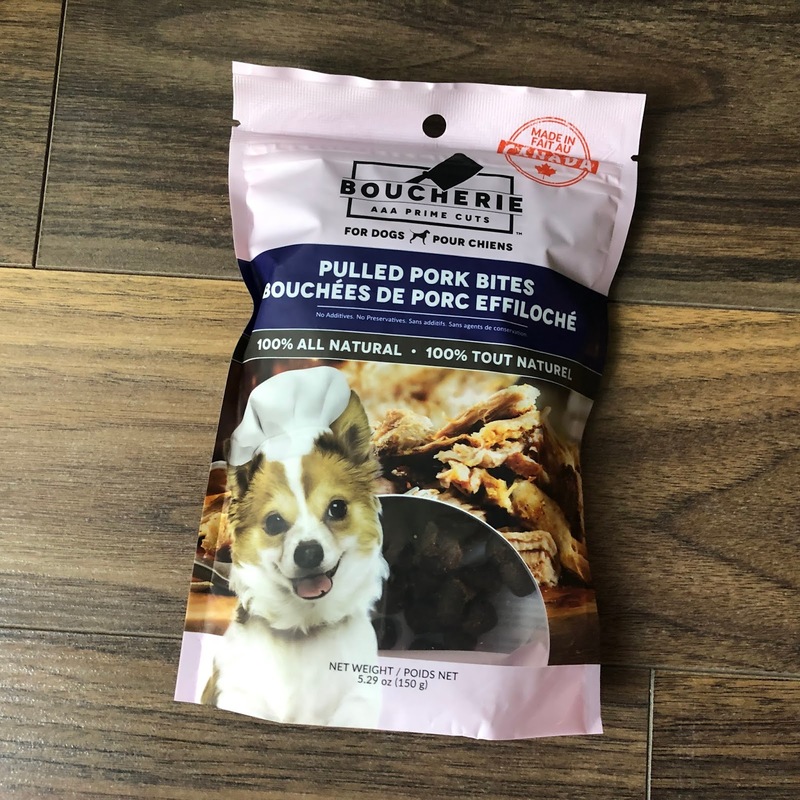 Boucherie Bites are low in calories and their small size makes them ideal for training. They're great for all dogs, especially toy to small breeds and puppies! 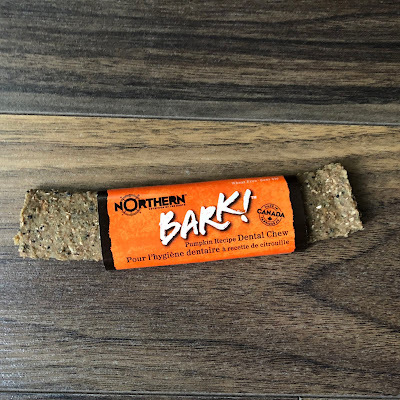 An all-natural dental chew created from brown rice and oats providing a taste your canine will love! 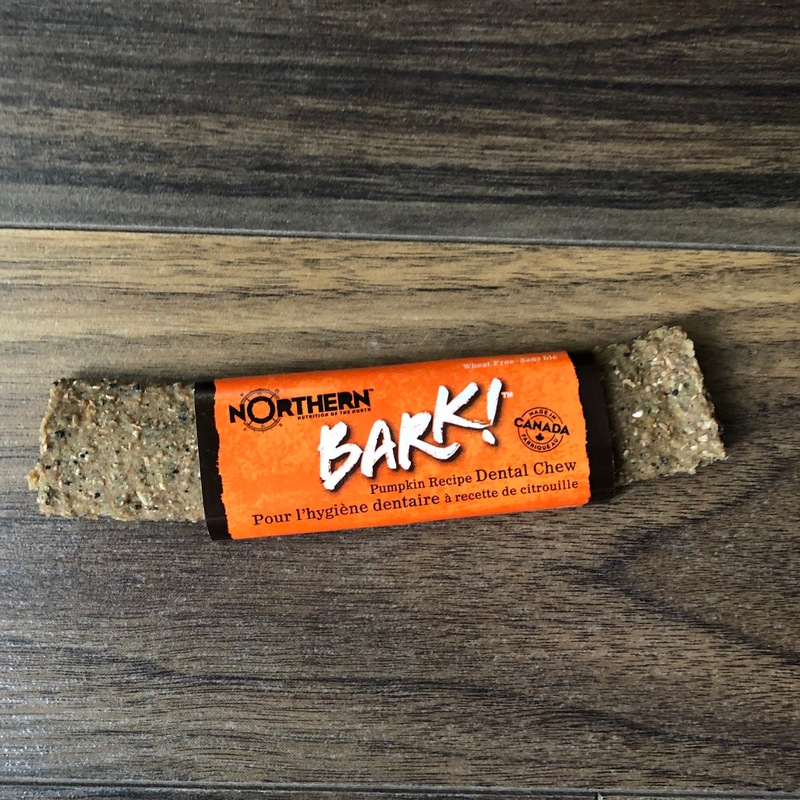 Dental chews promote the oral health of your canine and help to fight plaque, gum disease and tartar. 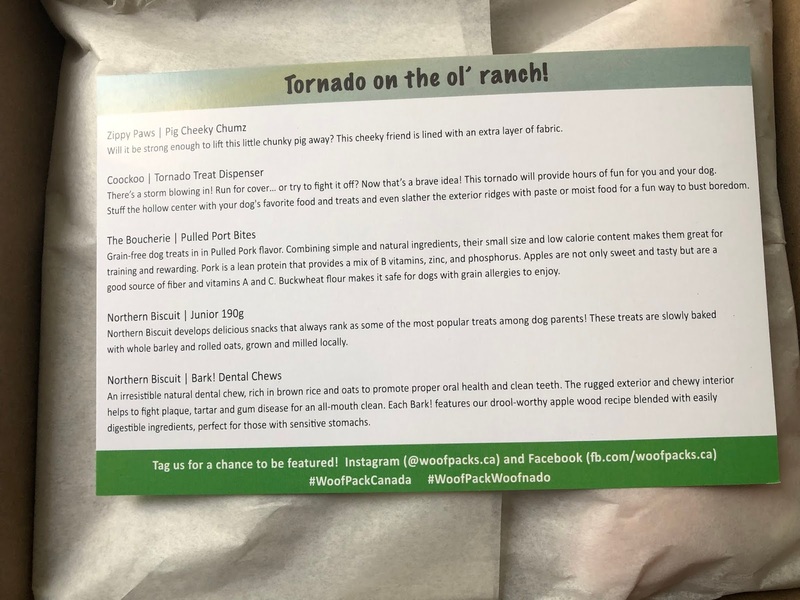 These chews are high in protein and low in fat, providing the perfect choice for dogs with sensitive stomachs. The March WOOFNADO Woof Pack included five items valued over $51 Canadian. 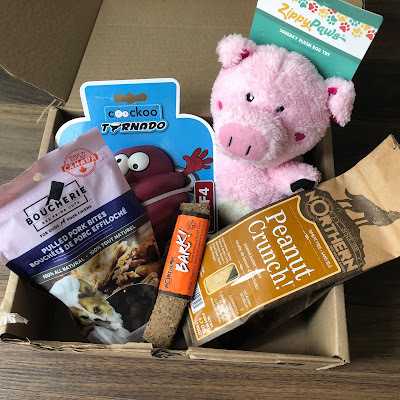 There's snacks for when you take shelter from the storm, and a little piggy to keep you and pup company. 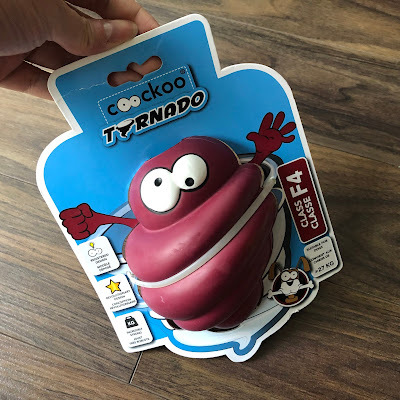 Watch out for the F4 super tough tornado! Click here to check out Woof Pack.